Today is 1 may 2013. We are here discussing about Labor Day. 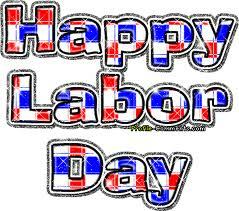 Labor Day is an annual holiday to achievement of workers. May 1st is the day of May Day in so many countries like United State, Canada & India etc celibates to Labor Day. It is also called International day. The day originates with the US labor group in the late 19th century. The history of the movement dates back to 1 may 1886. On this day several labor unions crossways the US went on strike, demanding a normal workday of eight hours. On May 4th there was carnage in Chicago's Haymarket Square – A bomb thrown by a revolutionist led to the deaths of a dozen people including with several police officers and the wound of over 100 people.